June | 2013 | Loch Lomond Livestock Ltd.
All of a sudden nearly half of another year has flown by! All the new offspring are on the ground and all the animals are out at pasture. After such a long, cold winter we were certainly glad to get warm weather and see the grass grow. Lambing and calving took place mainly during April and although the weather was hard on the animals (and people) we got though most of it without too much trouble. The cattle have been out utilising our early season pastures since early May, and the calves are really growing this time of year. 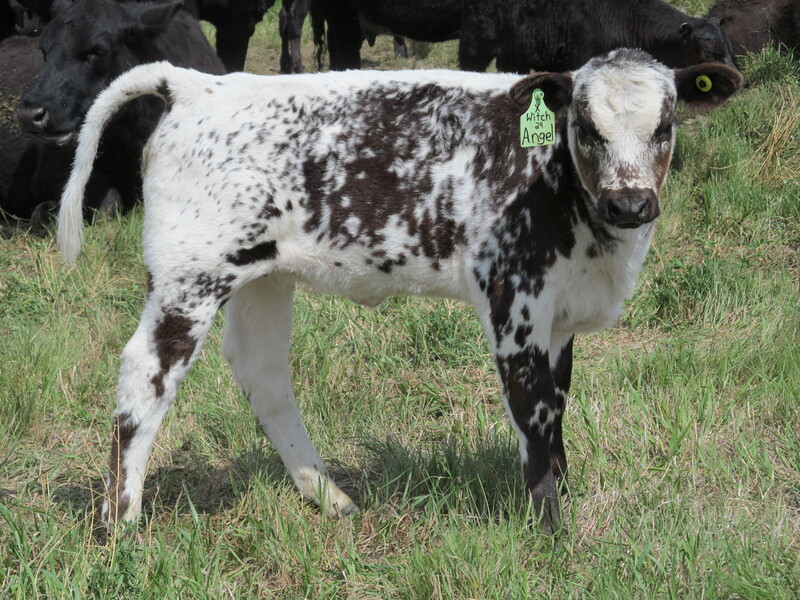 This year is the first year of Speckle Park calves, and they sure look great! The sheep are also out on the grass and looking good. Next week about half the ewes and some lambs will go to the Sheep Project at the Elbow PFRA pasture to eat leafy spurge, a noxious weed that can be controlled by grazing with sheep and goats. These sheep will stay at the pasture until early September, and the rest of the sheep will stay at home for the summer.